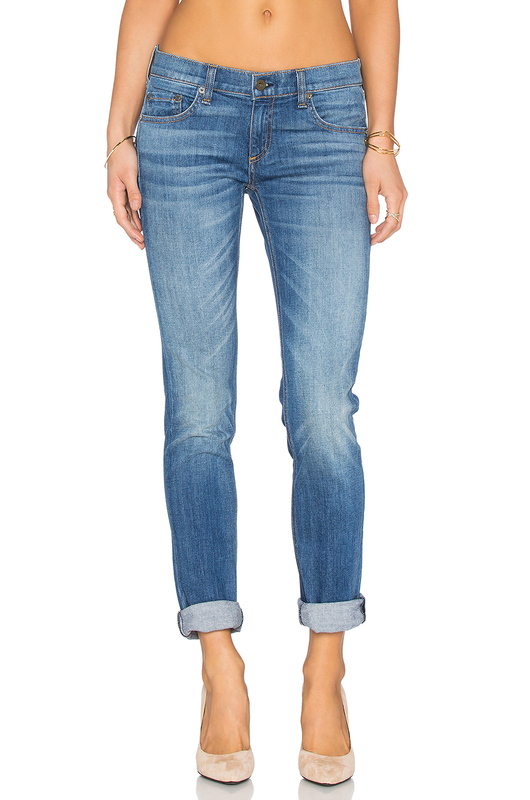 Oh, the boyfriend jean. They are everywhere, right? For so long I fully boycotted this style, as I just do not find it flattering. That being said, recently designers have begun to sway me with much more tailored, fitted styles. I forced myself to try a couple of pairs after seeing other girls in them and thinking they actually looked super cute. I found these by Lovers & Friends (on sale for $81!) on revolveclothing.com (surprise, surprise, right?). 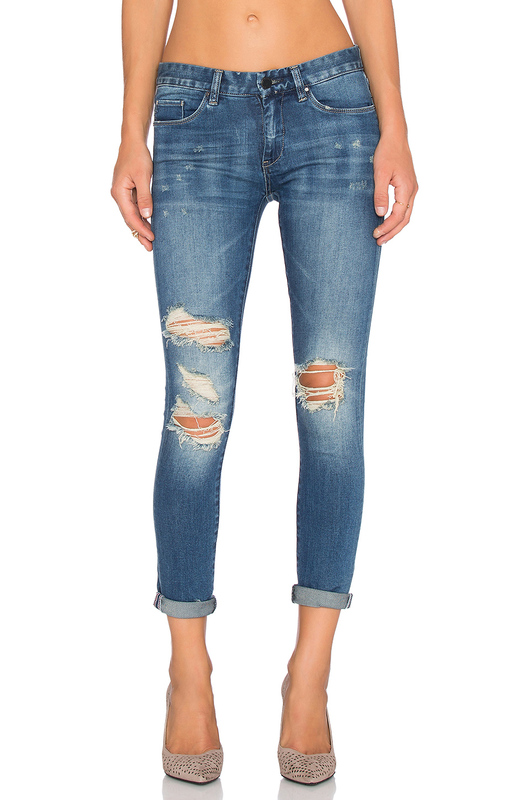 I love that they are super tapered at the bottom (which lets you show some ankle aka femininity). I am all about distressing lately (the more the better really), so I loved that these had that going on too. My #1 with this style is you have to pair them with heels. I feel like that is the only way to get have a super feminine edge. There is nothing more girly than a fab leopard print, so I went with my fave Louboutin calf hair pumps. My #2 with these baggy friends is that you need to wear them with a soft top. 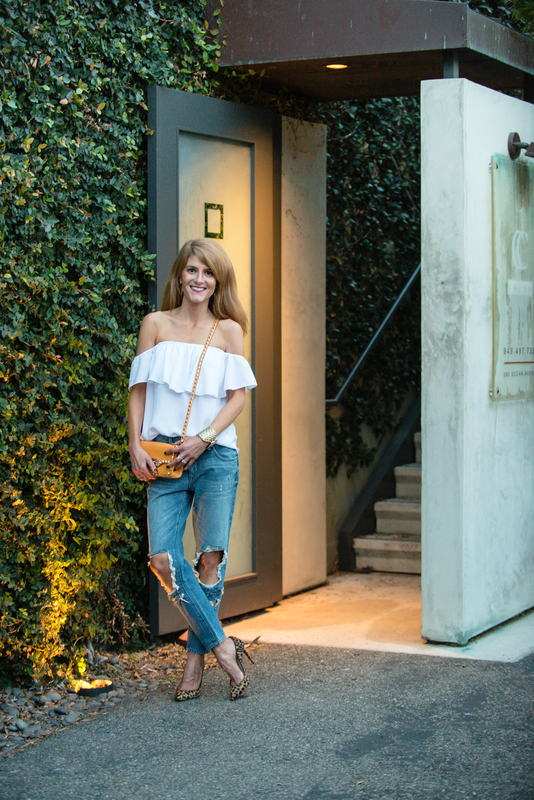 I went with a simple, but frilly, off the shoulder top. This one, from Show Me Your Mumu, is perfect with the uber girlish ruffle detailing. This style is no longer available, but similar styles here and here. 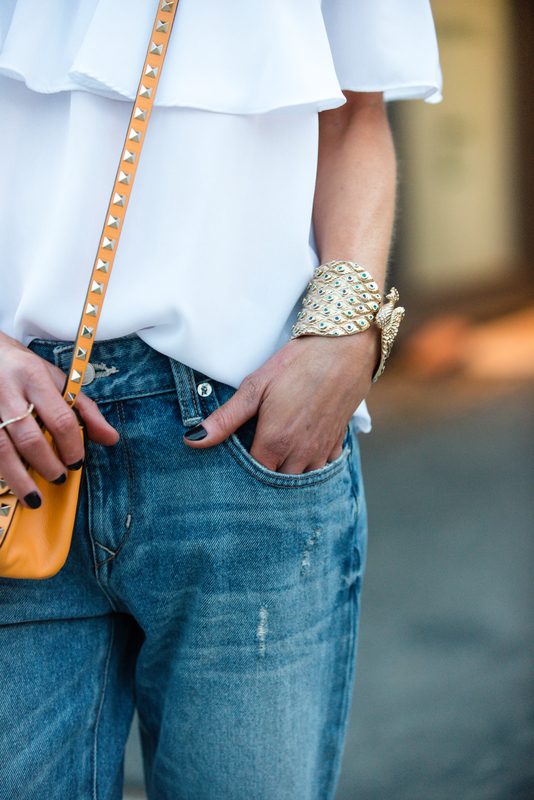 To keep it fun, I grabbed my studded out crossbody from Valentino. How about this mandarian orange color? I absolutely love mixing a fun bright color with leopard. It’s just so fun + chic. 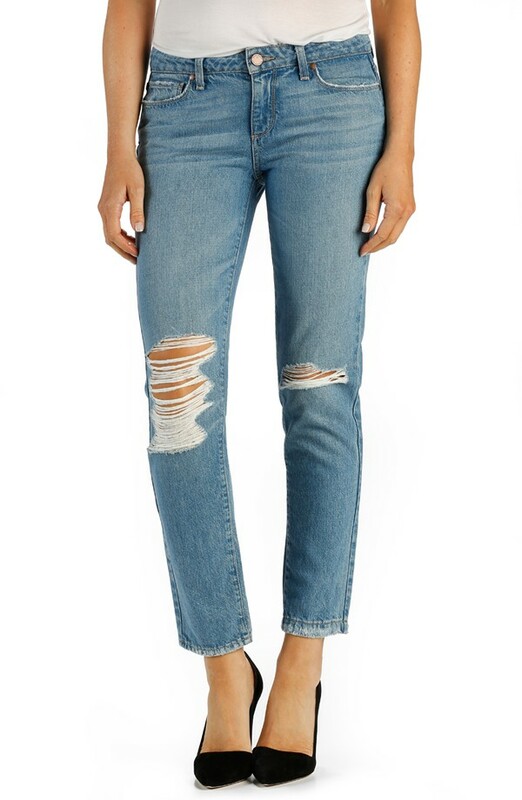 All in all, I support this newer skinnier version of the boyfriend jean. Not something I will be wearing on the daily (waaay too many cute dresses and rompers for that! ), but I do think it’s a fun look to mix in your rotation.